Print Technology 2014　proffer more perfection for the higher production efficiency development and business competitiveness advancement. It features a great number of the newest innovations and latest technologies in a comprehensive range of exhibit zones. It will present an ideal opportunity for industry professionals and experts, to develop strong network, build influential collaborations and utilize vital marketing resources for the growth and development of the industry. 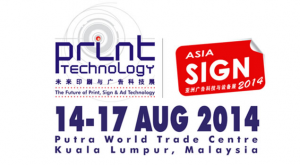 The biennial Print Technology 2014 will play her role as the platform for Asian advertising and printing trade, gaining greater heights, welcoming wider market and accepting greater challenges while providing superior service to the industries. 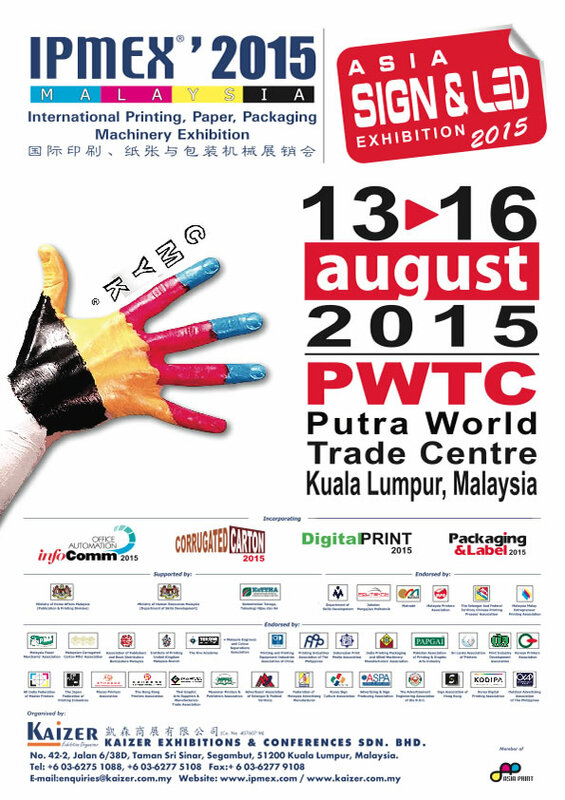 Advertising and printing trade leaders from all over the world will be gathering in Kuala Lumpur for Print Technology 2014, creating for you endless opportunities, possibilities and excitements! It has never been more important for the entire printers and business owners to invest their time in to evaluate their business journey and look for new route to grow. IPMEX MALAYSIA 2015 is an opportunity to see niche markets, generates ideas and inspiration, network and reinvest in their companies future. 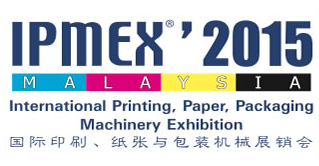 If you are looking to raise your productivity, lower your costs and expand your business; you should definitely participate in IPMEX MALAYSIA 2015. Cafe Show Malaysia is Asia’s No.1 Coffee Event Cafe Show Brand. The first coffee focused exhibition has started since 2002 in Seoul, Korea, it has become the biggest café exhibition in Asia. By launching Cafe Show China in 2013, it grows much more globally. Cafe Show Malaysia ,with the vision and concept to promote Food and Beverage domestically and internationally aims to bringing together the entire Food and Beverage related product industry together under one roof and to promote better communication, understanding and economic cooperation amongst the relevant business community. Segambut, 51200 Kuala Lumpur, Malaysia.